Mughals, on their expeditions, both military and leisure, when encountered by water, primarily relied on the ford crossings and if the span was wider resorted to the boats and boat bridges. On the pages of documented history, we come across the accounts of temporary bridges made of timber and ropes, and the organized precautions administered to avoid the loss of men and material while crossing those. The only sizeable exception to the above, and an aesthetic example in architecture as well, is the 16th century ten arches wide Munim Khan bridge built on Gomti river at Jaunpur (Uttar-Pradesh, India) on the orders of Akbar. Permanent bridges were not the phenomenon in those times and we are told of the hazards faced by an expedition of Emperor Akbar itself, travelling towards Kabul on the trail of his political rival Mirza Muhammad Hakim. The crossing attempts on River Indus and its tributaries, the Chenab and Jhelum, resulted in enormous losses and delays. 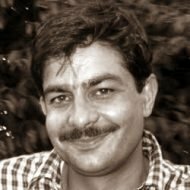 Succeeding emperor Akbar, it was our king of hunts and pleasure, an avid traveller himself, Jehangir who, as he undertook his expeditions due north (Kashmir) and north-west (Kabul), and he did so frequently, brought about phenomenal improvements to the existing roads, and one of those was building bridges that were permanent structures. There are royal ordinances from his times instructing the governors to undertake building of bridges to facilitate the travellers. The logistical arrangements on the king’s expeditions itself were a touch of engineering finesse. In a hunting expedition due Kabul, Fergus Nicholl tells us that the foreman in Jehangir’s team responsible for constructing bridges, took three days to build a bridge “sturdy enough to hold the emperor’s elephant without wobbling”. It is from the times of Jehangir and Shah Jehan that we have the remains of permanent bridge structures built on the stretch of Royal Mughal Highway between Gujranwala in Pakistan and Sirhind in India. 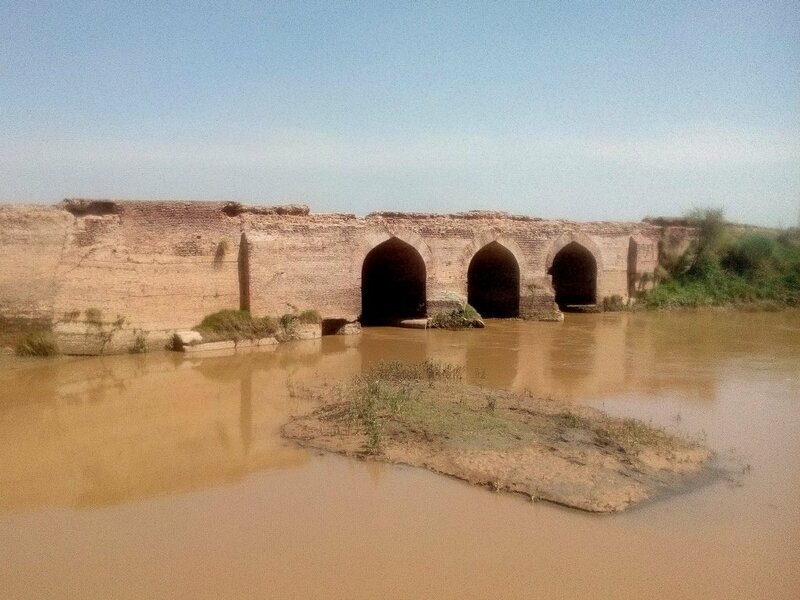 The Degh, having traversed the tehsils of Zafarwal and Pasrur enters the boundaries of Lahore at the village of Tapiala Dost Muhammad and as it flows due south, it branches off into two streams. The branch off-shooting south-west heads for the villages of Kanthiala and Khanpur and is called “Choti Degh”. The main branch, Degh itself, continues south headed for the village of Pindi Das towards Sheikhupura and it’s this branch that in the surroundings of Muridke embraces the Badshahi Sadak (Royal Mughal Highway, Jarneli Sarak, Grand Trunk Road, Uttarpatha; a lot many names in perfect sync to the grandeur of the historic path) and it is here, dear reader, that in our area of interest extending from a little north of the village of Tapiala Dost Muhammad to present day Grand Trunk Road south of Muridke we come across two bricked bridges on Degh from the times attributed to emperors Jehangir and Shah Jehan. The Bahmanwali bridge near Chak 46 and Pul Shah Daula up ahead of Tapiala Dost Muhammad on a peripheral road leading to Gujranwala. The Bahmanwali bridge, of the two is quite an obscured one. From G.T.Road, when you travel out of Lahore and travel for a little less than an hour, having paid what’s due at the Kala Shah Kaku Toll Plaza, ignoring the tiresome and unwelcoming look on the face of the booth-operator, as you resume your journey, just there, in between the Kala Shah Kaku Railways and the infamous Ittehad Chemicals, there’s this obscured stop for Chak No. 44. Unless one beholds a dedicated lookout for the said halt, it’s very likely to be missed. From here originates the Chak No. 44 Road, and if you are a fan of history and heritage, there are traces from the Royal Mughal Road (the alignment of the Grand Trunk Road from Mughal times). Ruins of the gateways from the past days’ grand caravanserais, earth filled stepped wells, mausoleums and the cantonment areas. What interested me here in particular were the bridges on the Degh, a rare find from Mughal Architecture. As I stood there on the Chak 44 road, asking clues on the whereabouts of an ancient bridge on Degh Nadi, I got directed towards Chak No. 46. Losing myself to the winding maze of village streets and negotiating some tricky water and mud obstacles for the wheels, I parked my car at the village graveyard and having paced a few furlongs on foot I came across the ever mythical and romantic Degh. Crossing on top of it was this bridge from the ancient times and it sure was the Bahmanwali bridge as mentioned on the surveys of Dr. Saif ur Rahman Dar. In front of me was an arched brick structure spanning the waters of Degh. There were three pointed arches with brick piers in between for added stability. Manish Chalana in his surveys of the Mughal bridges, and there are four of these surviving on the Amanat Khan – Sirhind stretch, tells us that the brick pattern was specific to the bridges from the Mughal Architecture from the days of Jehangir. These bridges typically had a deep well foundation and massive brick piers supporting the arches. Bahmanwali bridge reflected the identical blue print. Here the brick piers supported the three pointed arches and were reinforced with triangular buttresses towards the base of these piers. The walls of the bridge were slightly sloped outwards and there were small rectangular bastions on the outer sides of the walls. The bridge is functional in that it does carry the foot traffic of the people and the livestock and occasionally the tractor trolleys, both empty and loaded. The top of the bridge has lost the original surface of brick pavement that survives as a thin border on the sides. The walls have collapsed surviving in isolated pieces that appeared to be desperately clinging to ground. This structure has endured waters from the times, good and bad, and has seen Degh flooding and calming down, and in the process it has been decaying to time and neglect and soon will loose it’s existence. In the obscured landscape of northern Punjab, an even obscured landmark stands today as a reminiscent of the Mughal days. Standing atop the scorched surface of Bahmanwali bridge, as I faced east following the waters of Degh upstream, my eyes longed for another landmark, that lies a few kos beyond the village of Tapiala Dost Muhammad. Tapiala; where lie the mortal remains of Dost Muhammad and beyond which is another Mughal era bridge associated with a saint from Gujrat. The bridge goes by the name of Pul Shah Daula, and journey to where, dear reader, I shall cover in a subsequent post.